E.A.T. 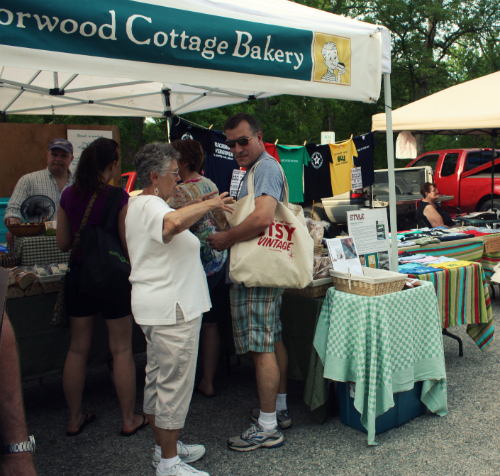 : Norwood Cottage Bakery for Mom! Norwood Cottage Bakery for Mom! I hope you got a chance to get out and visit your local farmers market today. It certainly was a beautiful morning here in RVA. 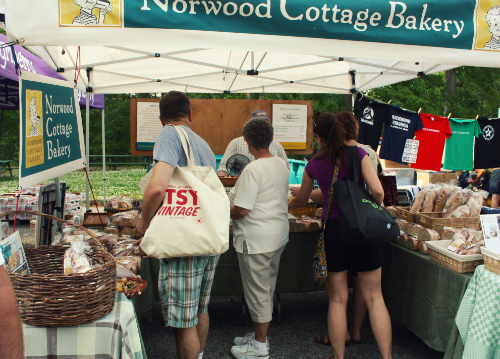 I also hope you are lucky enough to have someone like Mark McIntyre of Norwood Cottage Bakery baking fresh bread for you to enjoy throughout the week ahead. Do you find that you can really taste the difference in freshly baked bread too? 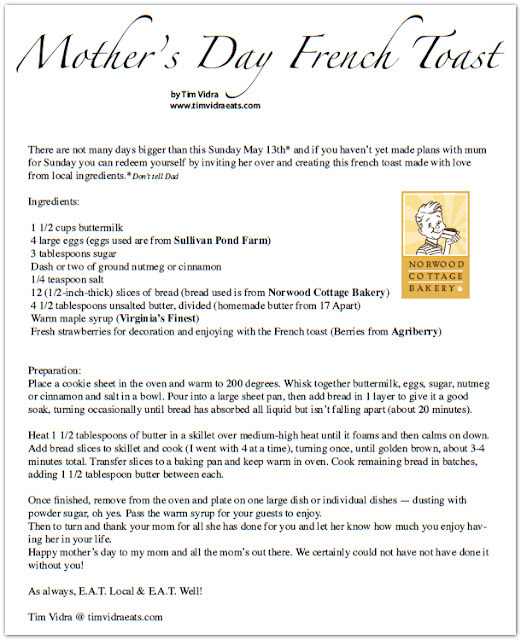 Mark was kind enough to make handouts of my featured Mother's Day French Toast recipe over on Virginia is for Bloggers to share with all of his loyal and new followers at the market. So if you are visiting E.A.T. 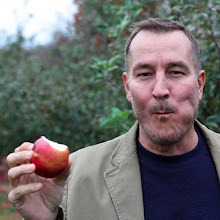 today from Norwood Cottage or Virginia is for Bloggers — welcome and I hope to see you here often where I always encourage supporting your local bakers, farmers, and artisans related to food. Click here to view and print full recipe. E.A.T. local E.A.T. well and of course Happy Mother's Day!